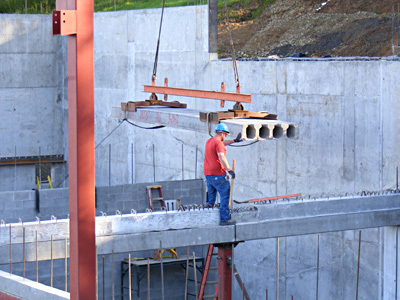 The challenge for the project team was to create a handsome site sensitive state of the art winery facility that would result in an efficient multi level gravity flow winery. 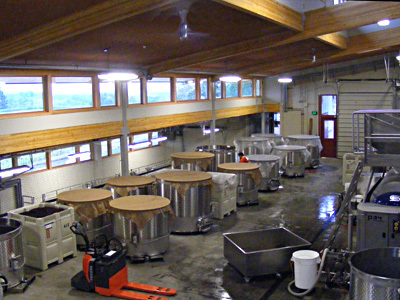 The southerly facing hillside providing a view to the vineyards below was developed into an upper level crush pad, a mid level fermentation mezzanine and lower level barrel rooms settling and bottling areas. 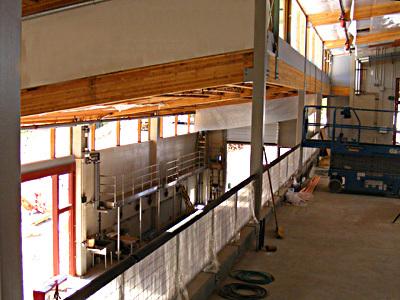 The construction utilized gang-formed high-wall precision poured in place concrete and insulated CMU walls that were integrated with three story fabricated steel columns that would come together to connect to the precise alignment of exposed glulam beams and a multi plane roof system that had to align perfectly with a previously built tasting facility. 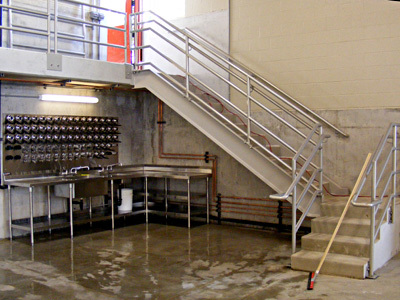 The adjoining tasting facility was completed a year earlier, and open daily for business presenting additional challenges to management of the construction without jeopardizing the safety and enjoyment of visiting customers. 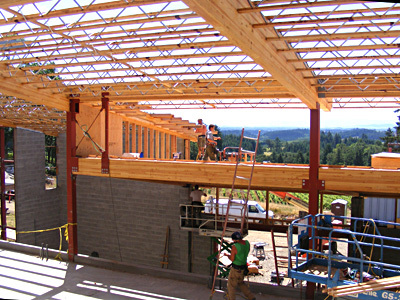 The 17,000 square foot winery building construction couldn’t start until the winter of 2011 and yet the owner challenged the team to complete the building in time for the 2012 crush. 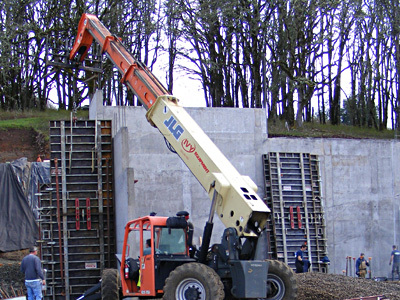 Thanks to extraordinary cooperation amongst the multiple trades working tightly together through extensive construction challenges and the rainy winter months the owner’s request was achieved. 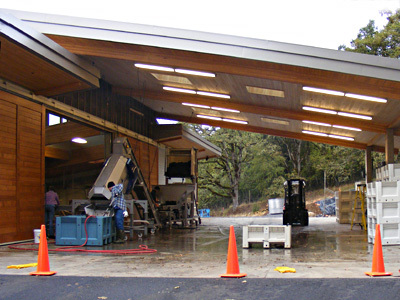 Whereas a project of this size and scope would normally require 15 months to complete we succeeded in having wine produced in the new facility in just under 8 months – a unique testament to our company’s skills.